This term, straight out of GTD again, is perhaps the most important question in productivity (whereas I would suggest time management is the most important concept). Work out colour scheme for new website (that holds many different actions like research, comparing, design, collect (colour swatches maybe). Zero Inbox! (easy – select all, trash – oh, you didn’t mean that, you meant go through each email and deal with it asap). It’s also useful for these sub-routines like the Do-Delegate-Defer-File-Delete options for getting a task done in The 2 Minute Rule (see yesterday’s post), or the very similar options when working on Zero Inbox (see below). Pick up an email, and what’s your next action? Choose (quickly!) one of the options and action it. 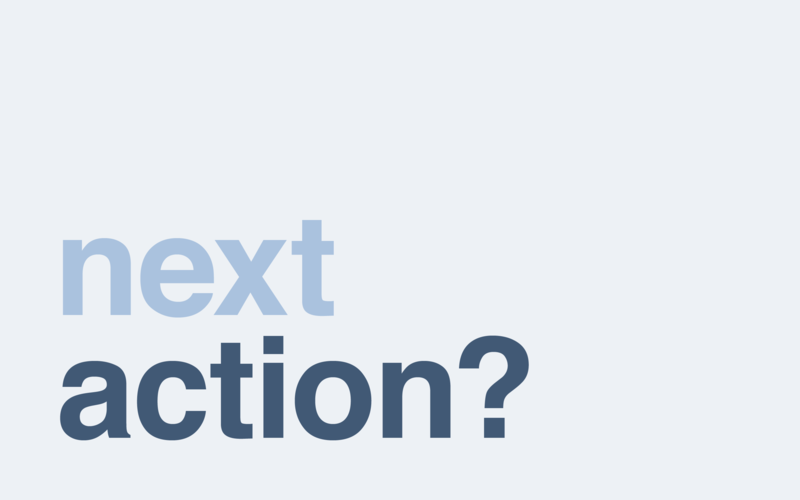 And finally, asking What’s the Next Action? is fundamental to how we break up larger tasks into actionable steps. Here we get into the contrariness of many productivity recommendations, with vastly different approaches to deciding which tasks to tackle first. The answer must be – do what works for you. Test productivity tools like these out, and use what works for you. And if, at some point you find yourself identifying tasks, yet they still aren’t completed, try a different system. All of the approaches below have their basis in different aspects of human behaviour and psychology, so one method can not fit all. This approach involves tackling the “biggest” tasks first, and getting them out of the way. The idea is that tackling such tasks will deal with the pressure and anxiety which can build up and cause procrastination. It also highlights the mind’s readiness to then go onto “smaller” or “easier” tasks as a welcome reward. How you define “big” is up to you – it may be a very complex task,or perhaps one which involves multiple resources like locations or people to work on it. Some big tasks can be broken into smaller chunks or time periods, but by their nature, should be done consecutively – an example – if you take on the yearly challenge of writing a 50,000 word novel in NaNoWriMo. Big task – run over 30 days. Leo Babauta of Zen Habits is a proponent of this big first method, specifically Big Rocks First. He uses this for listing 4-6 big rocks for his weekly list, but also uses MIT or most important tasks for daily lists of tasks to do. (see yesterday’s post for more on MIT). 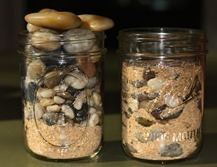 Big Rocks First is a well-known time management metaphor with large and smaller rocks and sand filling a jar. This was first highlighted by Stephen Covey in the co-authored book First Things First (available on Youtube as an audio book). The metaphor of pouring rocks and sand into a jar is a much-used visual at many time management seminars since. This approach involves getting the easiest smallest tasks done first, as a quick win. Which will give you a sense of progression, and in some cases rid yourself of distractions. Many of these come out of the GTD arena also – things like getting all your emails responded to (Zero Inbox) and also The 2 Minute Rule discussed in yesterday’s post. 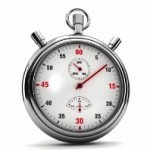 Although The Two Minute Rule is well known, several people prefer operating with an even shorter rule. 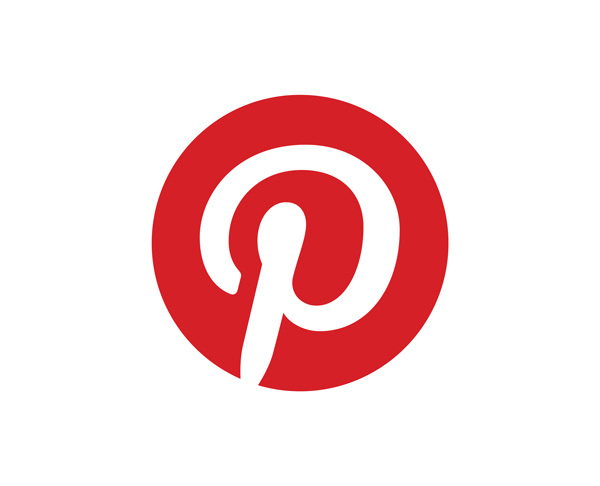 Gretchen Rubin discusses The 1-Minute Trick in chapter one of her bestseller, The Happiness Project, and also shared this as productivity hack on LinkedIn. (Gretchen is working on a new book Before and After – a book on habit-formation). The concept as a productivity hack is a popular one too – there are several ebooks and articles listing productivity tips you can make use of in one minute flat. One good approach is to use 60 seconds first thing in the morning to review, select and prioritise your tasks for the day – the timeframe forces you into using a gut-feel for it all. 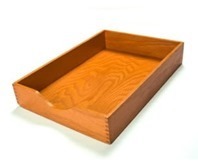 Another I like is to use 60 seconds each day to declutter your desk or office space. I wish it would work that well for vacuuming. Inbox Zero is a permutation developed by Merlin Mann, on the now archived 43Folders website where there was a large series of posts on methods to take your bursting email inbox to zero. To confuse things, according to Mann, the zero is not a reference to the number of messages in an inbox; it is “the amount of time an employee’s brain is in his inbox.” Mann points out that time and attention are finite and when an inbox is confused with a “to do” list, productivity suffers. In the below video, Mann introduces the concept in a Google Talk. 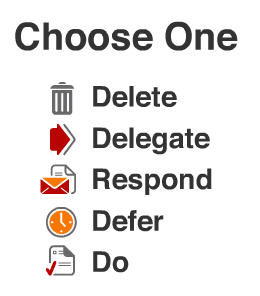 The system involves going into the inbox and immediately choosing one of five options – delete, delegate, respond, defer or do. (Very similar to GTD options for processing tasks). Whether Zero Inbox or the reverse Inbox Zero, this area of getting your email inbox down to zero mails is considered the Holy Grail of a digital life, with many media articles paying attention to It. The concept can also mean to take your other inboxes – event/calendar and task/to do lists, and physical inbox of mail, information and documents to zero also. I must say, that since adopting the method for my own email inbox, and using a purpose built mail app, I’ve found myself with a lot more productive time for writing. This must be one of my own top productivity hacks. More on GTD in next Tuesday’s post. More on email management in next Friday’s final post. Book: First Things First by Stephen R. Covey, A. Roger Merrill and Rebecca R. Merrill. Stephen Covey’s website with additional material. Zero Inbox – there are plenty of recommended mail apps which give you quick functions for archival, scheduling for to dos, and deferring. Mailbox (I use)lets you snooze non-urgent mails, and even gives you a big tick when you get down to zero inbox. Mailstrom, a webapp, analyses the contents of your mailbox to tell you things like who sends you the most. GMail – this is my own email service, and I find the tabbed organisation of different types of messages helpful. Boomerang is a service which works through gmail, allowing you to schedule emails,and also boomerang out any emails in your inbox to appear back at a later time when you plan to deal with them. FollowUp.cc – Rather than keeping read emails in your inbox as reminders of todo items, you can forward them to a FollowUp.cc email address with a date on it, and it comes back as a reminder. Subscription plans. The service works with Apple Mail, Gmail, Outlook, Hotmail, Yahoo!, and AOL . More apps for email management are listed in next Friday’s final post.